Pioneers in the industry, we offer loop bags and single loop bag from India. 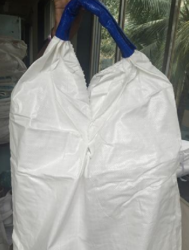 These 1 & 2 Loop Bags provide the users a cost effective and bulk handling solution combined in a single bag. These are ideal for storing larger volume and high capacity contents. These are generally used to store fertilizers, fish-feed, cement, seeds, chemicals, minerals, food grains, etc. we can offer with top spout and bottom spout bags . We are presenting a wide range of Single Loop Bag. 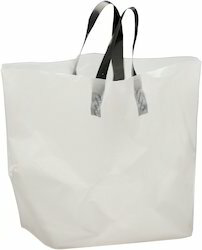 This bag is manufactured using optimum quality basic material latest technology. The offered products are fabricated with quality approved material that is sourced from trusted vendors in the market and contemporary tools in adherence to set industrial norms. Looking for Loop Bags ?